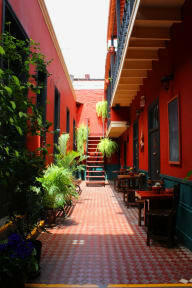 KACLLA, The Healing Dog Hostel i Lima, Peru : Boka nu! We're so satisfied! Joham in the reception is the best! Best breakfast I’ve had in a hostel! Nice and helpful staff, cute dog! Kind of a mixed crowd, both backpackers and families staying there. Not a party hostel! Would definitely recommend to stay there if you want a chill and friendly environment. This hostel had a lot of charm. It's in a calm street of the Miraflores. It's chilled, easy to speak to people. Only thing, it's no locks on the dorms. The breakfast is some kind of bread, peanut butter and some chocolate spread. You also get some mix of I'm not sure what that you can toss in your milk. You get fruits and can squeeze your own orange juice. I would definitely recommend this place. Bring your own lock for the lockers that are mid size. Staff are super helpful and friendly! A very good option! 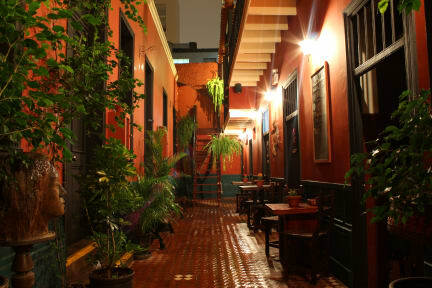 Stayed in 3 different hostels in Lima and this was by far the best. Relaxed atmosphere and better than average breakfast.